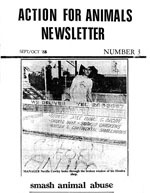 » This Is The A.L.F. 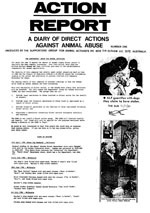 Despite his denouncement of most forms of illegal direct action, Peter Singer has played an interesting and unintended role in the history of the underground in his native Australia. 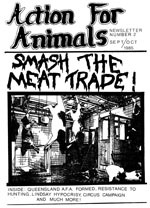 After the success of his seminal utilitarian philosophy book, Animal Liberation, he founded a group by the same name in the land down under. 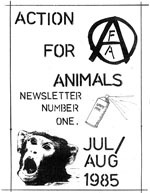 This left some activists with an interesting question: should they continue using the name “Animal Liberation Front?” Many cells decided to forgo the confusion of a nearly identical moniker and instead acted under the banner of Action for Animals and Direct Action for Animal Rights. 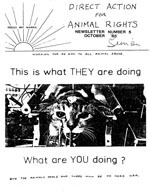 Australia was one of the first countries outside of England to see resistance movements dedicated to non-humans. 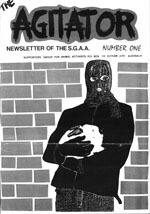 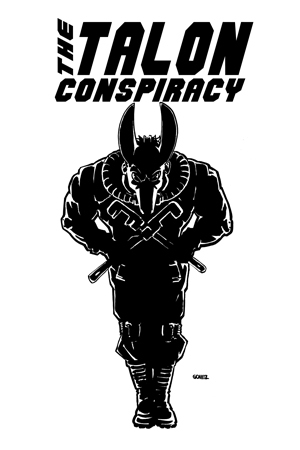 As raids and economic sabotage became more frequent, above ground supporters started small press publications to publicize the tactics and activities of these Aussie warriors. 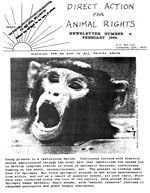 Later, as arrests began to mount, these publications also served to raise defense funds and promote acts of solidarity with animal rights prisoners.